Studies show exposure to the outdoors and even to just images of nature improve learning outcomes. Environmental Education can help teachers meet curriculum standards while connecting children to meaningful experiences with nature. Activities include relevant environmental concepts that fit into your curriculum goals. Join us for a workshop specially designed for teachers in urban schools. Nature is everywhere! We will share how to leverage lessons about Atlanta's urban forest and ecology to engage your students. 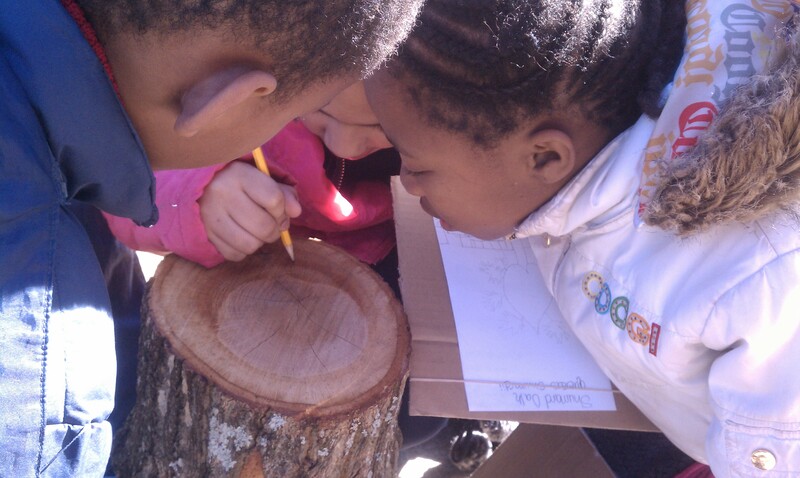 If your school is currently a Trees Atlanta Urban TreeTracker (UTT) participating school, this program will work in conjunction with our in-school lessons. All APS teachers and educators are invited to attend this workshop (registration requested). Workshop participants will learn how to enroll new schools into the UTT program and receive in-school educator visits during the school year, plus other benefits. Please register by October 15 so that we may order teacher classroom materials for everyone. Registrations are accepted until October 26th however late registrations may not receive classroom materials day of workshop. This free workshop is made possible through additional funding provided by Kaiser Permanente. Please help us meet attendance requirements by notifying us immediately if you are unable to attend so that we may open seats to others.